We decided that after 2 years, we would let our Disneyland passes expire, but not before one last hurrah! We decided to get tickets for Mickey's Halloween Party. We had never done it before so we thought it would be the perfect way to kick off fall. 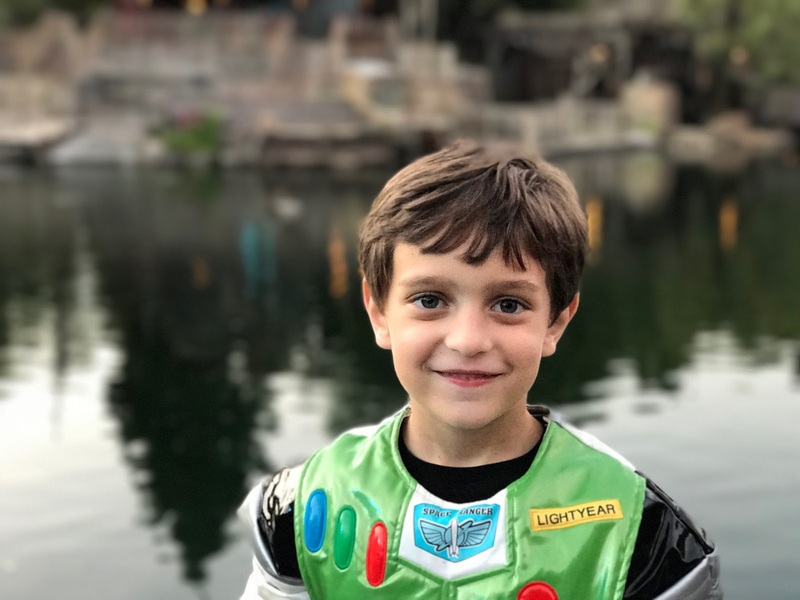 Hudson had decided he wanted to be Buzz Lightyear which set the whole family theme in motion. Jayde dressed up as Jessie in a super cute Jessie inspired dress I found on Etsy. Nathan was the Pizza Planet delivery guy and I had the hardest time thinking of what I would be. I tried to pull off Barbie, but after getting all the pieces together, I looked more like a mom from the 80s. Finally, with the help of a friend, I decided to go a Sid, the toy torturer. I actually really love how it turned out. It was complete with mutilated toys hanging from my belt loops. The highlight of the night was when Woody danced with Jayde. When we first arrived, there was a dance party going on in Tomorrow Land, and Jayde wanted to go participate. 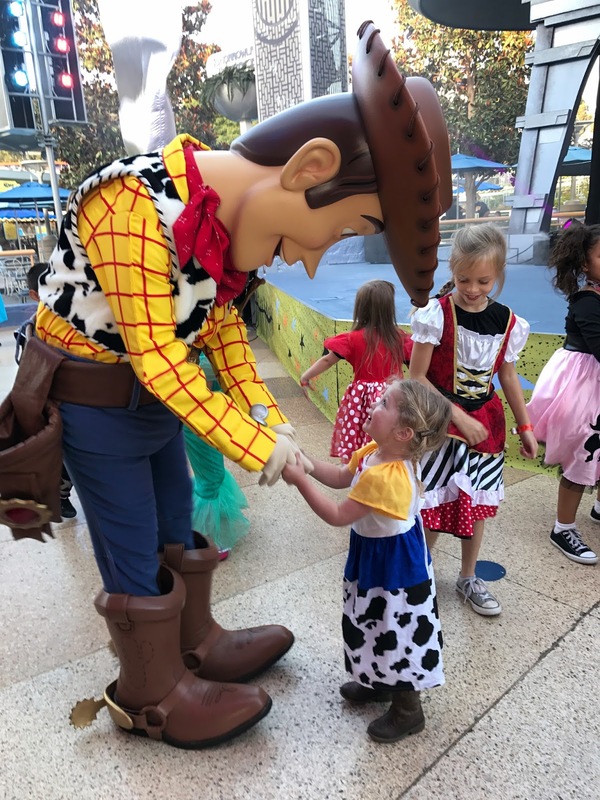 As she made her way to the front of the stage, some of the cast members saw her called over Woody who was dancing a few yards away. 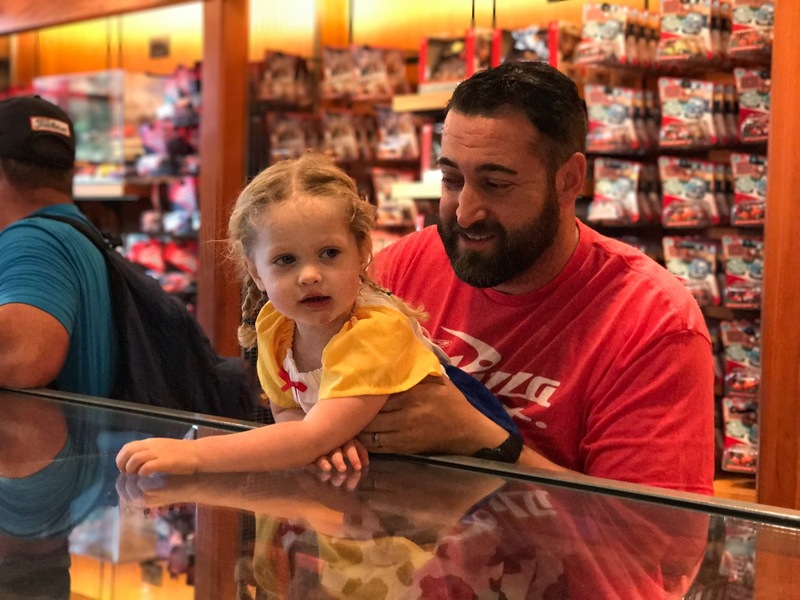 I watched Jayde's eyes fill with joy and amazement as Woody took her small hands and did a little side-step dance with her. It didn't last very long, but it is one of those moments I will always remember. Another highlight was taking Hudson on Indiana Jones. That was my favorite ride as a kid, so sharing it with him was something I had been waiting to do for years. In the end, Hudson was unsure of the ride, even I had forgotten how intense it was. 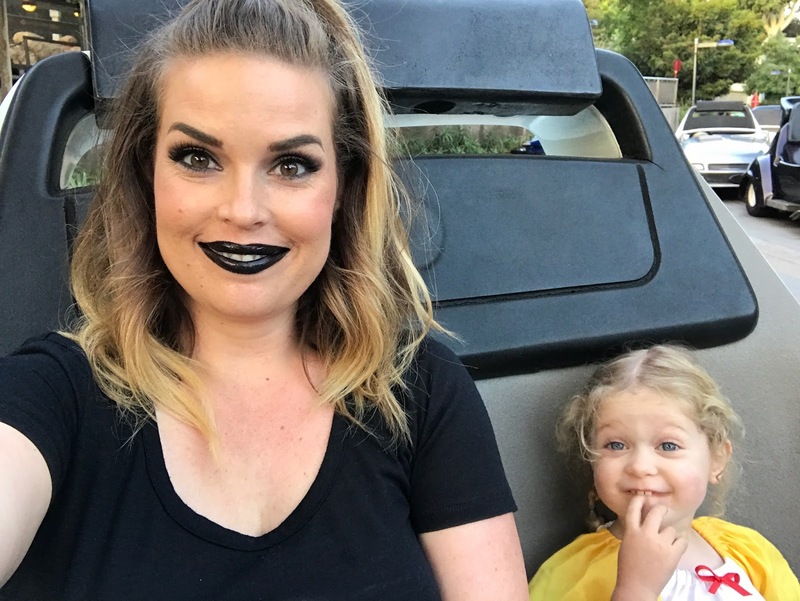 Jayde got to ride Autopia for the first time. It was a great way to say goodbye to Disneyland for a little while. We did get Magic Mountain passes so we will be frequenting that park more often this year.